Jaume Munar is the No. 7 seed at the Next Gen ATP Finals in Milan this week, where he has landed in Group A alongside Stefanos Tsitsipas, Frances Tiafoe and Hubert Hurkacz. – Munar is from Mallorca and trains at the Rafa Nadal Academy. He is coached by Nadal’s best friend, Tomeu Salva and considers Nadal a mentor. They may hail from the same island, and Munar has a strong supporter in Nadal but the youngster insists there is no room for any comparison between him and the 17-time Grand Slam champion. “It’s different, starting with the fact that Rafa got his first Roland Garros at 19 while I’m still here fighting to get into the top 100, I think there is no real or good comparison,” Munar told Sport360 in Milan. – On June 18, 2018, Munar became the youngest Spaniard to reach the top 100 since Nadal achieved that feat on July 16, 2007. – Munar is enjoying a career-high ranking of 76 this week, which makes him the Spanish No. 8. He is the youngest of nine Spaniards in the top 100. – His nickname is ‘Jimbo’ because his fiery attitude on the court resembles that of Jimmy Connors. – His favourite surface is clay, favourite shot is serve and favourite tournament is, of course, Roland Garros. – If he weren’t a tennis player, he says he would have liked to be a doctor. – His best ATP result so far was reaching the semi-finals in Kitzbuhel last July. – He qualified for the main draw at the Australian Open and Roland Garros this year. He claimed two five-set wins at the majors this season, coming back from two sets down to defeat world No. 41 David Ferrer in the French Open first round, and defeating Ruben Bemelmans in the US Open first round. – Owns three Challenger titles (Segovia 2017, Prostejov 2018, Caltanissetta 2018). 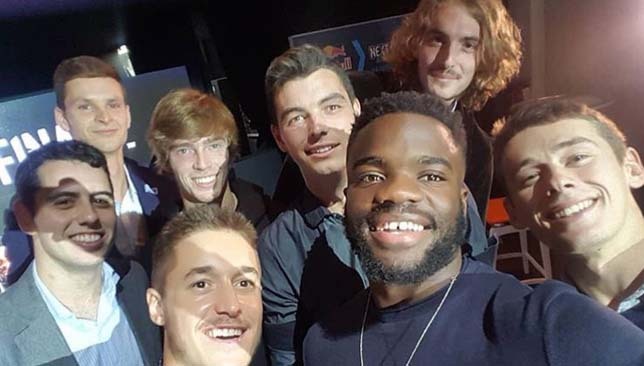 The second edition of the Next Gen ATP Finals kicks off in Milan on Tuesday with eight of the finest 21-and-under players on tour looking to showcase their skills and finish their season on a positive note. 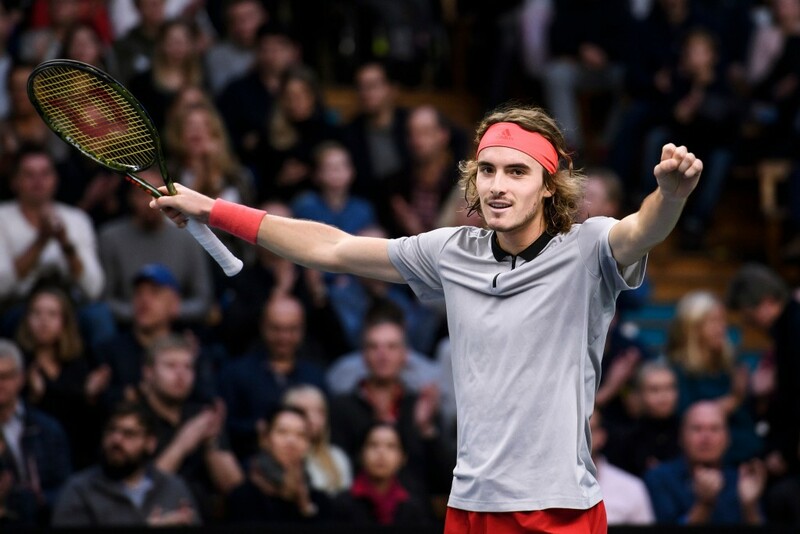 Stefanos Tsitsipas headlines the field that also includes Alex de Minaur, Frances Tiafoe, Taylor Fritz, Andrey Rublev, Jaume Munar, Hubert Hurkacz and Italian wildcard Liam Caruana. The tournament takes place at the Fiera Milano from November 6 – 10 before everyone’s attention turns to the ATP Finals in London. Here are some of the main talking points surrounding the event’s sophomore installment. Next Gen or Now Gen? Three of the eight players competing in Milan are ranked in the top-40, with top-seeded Tsitsipas already up to No. 15 in the world, De Minaur ranked 31 and Tiafoe at 40. All seven direct qualifiers for the event are inside the top-85. While the Grand Slams this season have once again been scooped up by the usual ‘Big Three’ suspects, the younger generation of tennis players are clearly breathing down their necks. Two of last year’s Next Gen ATP Finals participants, Karen Khachanov and Borna Coric are the alternates for this month’s ATP Finals in London. Khachanov knocked out four top-10 opponents en route to the Paris Masters crown on Sunday while Tsitsipas also upset four top-10 players on his way to the final of the Masters 1000 event in Toronto earlier this season. Not to mention 21-year-old Alexander Zverev’s three Masters trophies and his well-established position among the world’s top-10. Just like last year, Zverev has opted out of the Milan tournament since he is qualified for the main showpiece in London. This year, world No. 27 Denis Shapovalov has also chosen not to compete in the Next Gen ATP Finals. The current wave of 21-and-under players are fast rising and it feels like a young major champion could be just around the corner. What’s new in Milan this year? Besides promoting the younger players, the Next Gen ATP Finals is also used to test out new rules and innovations that could be considered for implementation at actual tour events. Last year, Milan debuted Hawk-Eye Live for electronic line calling, player coaching using headsets, shorter sets (best-of-five sets to four with a tiebreak at 3-3), no let and no ad scoring, on-court shot clock and a free movement policy. This second edition will feature towel racks to be used by the players during games instead of having the ball kids handle the towels themselves. There will also be video review for the first time where an umpire can re-watch a point to make a call on things like double-bounces or foul shots like a double-hit or a carry. The warm-up time for a match will be shortened from five minutes to four. 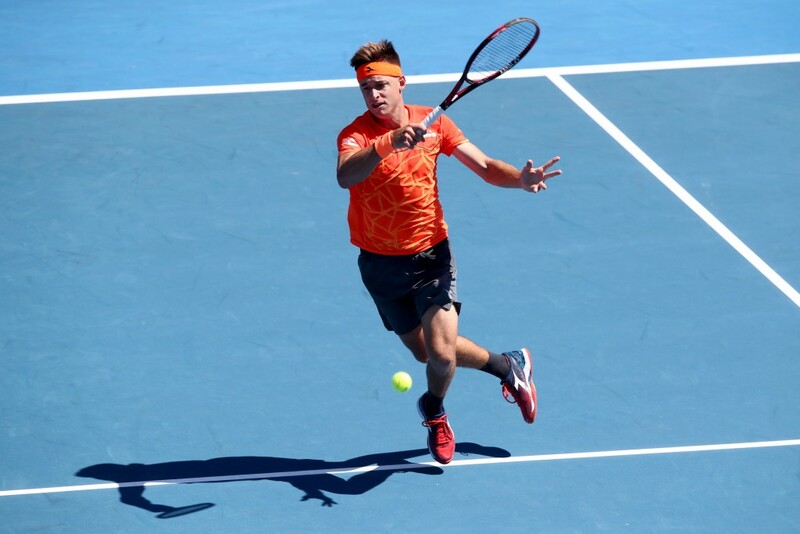 Can Rublev seize his opportunity? Last year’s Milan runner-up, Rublev, missed three months of action with a back injury this season and slipped from a career-high ranking of 31 to his current position of 68. The only player in this year’s Next Gen tournament to have made a Grand Slam quarter-final (at the 2017 US Open), Rublev has a chance to finish his year on a high, and can benefit from the fact that he’s the only repeat participant in Milan. He has been drawn in Group B alongside Fritz, De Minaur and Caruana. Caruana won the tournament staged for Italians vying for the one available wildcard in Milan. Tiafoe has been jokingly referring to Caruana as an “American wildcard” due to the fact that the Italian, who was born in Rome, has lived most of his life in the United States, and currently resides in Austin, Texas. Caruana, 20, is ranked 622 in the world but was up to 375 earlier this season. He tells Sport360 that his favourite players are Andy Roddick and Nick Kyrgios and his 2018 highlights were playing his first ATP main draw match in Auckland, and contesting the Rome Masters. Will the lone teen in the draw make a statement? De Minaur, 19, is the only teenager in the Milan field and the young Aussie, nominated for the ATP’s Most Improved Player award, has a chance to shine for one last time in 2018 – a remarkable season that saw him rise from 208 in the world to his current position of 31. He is a combined 3-1 head-to-head against the rest of the field. 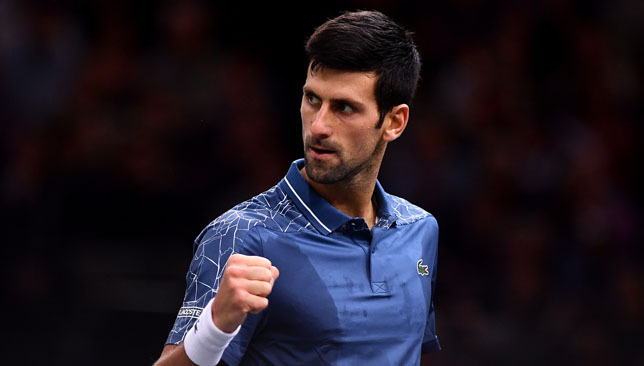 Djokovic, who beat Khachanov on the way to winning the Wimbledon title this summer, is seeking a record-extending fifth Paris Masters title.